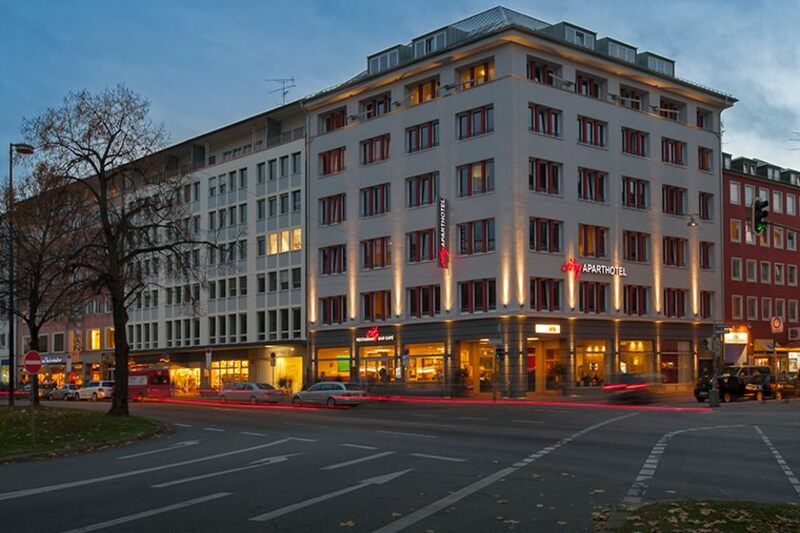 The family-run City Aparthotel München is in the centre of Munich, a 2-minute walk from Karlsplatz (Stachus) Square and Sendlinger Tor. It offers air-conditioned, soundproofed apartments with free WiFi internet in all areas. 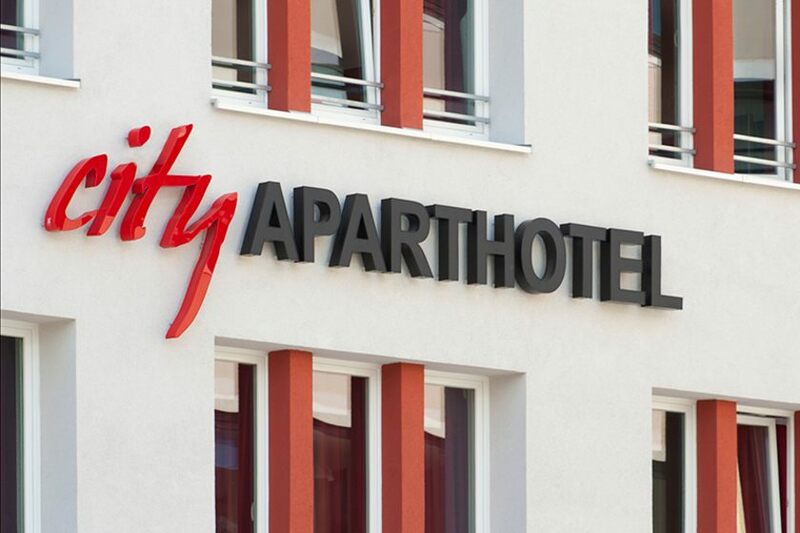 All apartments at the City Aparthotel feature fully-equipped kitchenettes and also have a 42-inch flat-screen satellite TV, a laptop safe, a private bathroom with a shower, a hairdryer and a washing machine. An iron, ironing board and drying rack are also provided. There is a leased restaurant on site as well as many small shops, restaurants and café around Karlsplatz. Munich's Frauenkirche Church is just a 15-minute walk from the City Aparthotel München. Munich's pedestrian area begins here, and excellent public transport connections are available. The Oktoberfest beer festival is 2 train stops or a 20-minute walk away and the neighbourhood Ludwigsvorstadt is well liked by fans of history and architecture. Check in from 3 p.m. Check out until 11 a.m. Luggage service and buffet breakfast are available at extra charge. Pets allowed in the hotel on request. We also speak Turkish. Next public transport stop: Karlsplatz (Stachus). From the airport: With the S8 or S1 directly about 40 minutes. From the main train station (Hauptbahnhof München): By foot about 10 minutes or just one station with the Suburban Train to Karlsplaz (Stachus). This apartment has 1 bedroom and a living room with a sofa bed for 2 guests, and features two 42-inch flat-screen TVs as well as an iron, an ironing board, a drying rack and a kitchenette with microwave, fridge and a 2-burner induction stovetop. The bathroom has a walk-in shower, a hair dryer and a washing machine. These rooms can accommodate a maximum of 4 guests. Existing beds can be separated. Please note that no extra beds can be accommodated at the property. Baby crib is available upon request. This apartment features two bedrooms and a living room with a sofa bed for two people, 2 large flat-screen TVs, as well as an iron and ironing board, a drying rack and a kitchenette with microwave, fridge and a 2-burner stovetop. Both bathrooms come with a walk-in shower, hairdryer and washing machine. This apartment can accommodate a maximum of 6 guests. The existing double bed can be separated into two single beds. Please note that no extra beds can be accommodated at the property. Baby crib is available upon request. This apartment features three bedrooms and a living room with a sofa bed for two people, 3 flat-screen TVs, as well as an iron and ironing board, a drying rack and a kitchenette with microwave, fridge and a 2-burner induction stovetop. Both bathrooms come with a walk-in shower, hairdryer and washing machine. This apartment can accommodate a maximum of 8 guests. The existing double bed can be separated into two single beds. Please note that no extra beds can be accommodated at the property. Baby crib is available upon request. This apartment with double bed features a sofa bed for 1 guests, a 42-inch flat-screen TV as well as an iron, an ironing board, a drying rack and a kitchenette with microwave, fridge and a 2-burner induction stovetop. The bathroom has a walk-in shower, a hair dryer and a washing machine. These rooms can accommodate a maximum of 3 guests. The existing double bed can be separated into two single beds. Please note that no extra beds can be accommodated at the property. Baby crib is available upon request. This apartment with double bed features a sofa bed for 2 guests, a 42-inch flat-screen TV as well as an iron, an ironing board, a drying rack and a kitchenette with microwave, fridge and a 2-burner induction stovetop. The bathroom has a walk-in shower, a hair dryer and a washing machine. These rooms can accommodate a maximum of 4 guests. The existing double bed can be separated into two single beds. Please note that no extra beds can be accommodated at the property. Baby crib is available upon request. This room features a 42-inch flat-screen TV and a safe as well as an iron and an ironing board. The bathroom has a walk-in shower and a hair dryer. These rooms can accommodate a maximum of 2 guests. Please note that no extra beds can be accommodated at the property. Baby crib is available upon request. This air-conditioned suite features two bedrooms, one of them with a large double bed, a spacious living room with open kitchen, and a 30 sqm roof terrace. The suite is located on the 7th floor, reachable via lift. There is a kitchen with fridge, induction stovetop, microwave and dishwasher. One bathroom comes with a double washbasin and whirlpool, while the other offers a shower. 3 flat-screen TVs, free WiFi, safe, washing machine, iron and ironing board are also provided. A maximum of 4 guests can be accommodated. Please note that no extra beds can be accommodated at the property. Baby crib is available upon request. Please note that payment of a EUR 500 security deposit is required.